This full colored illustration is the 8th piece of the Full moon series. 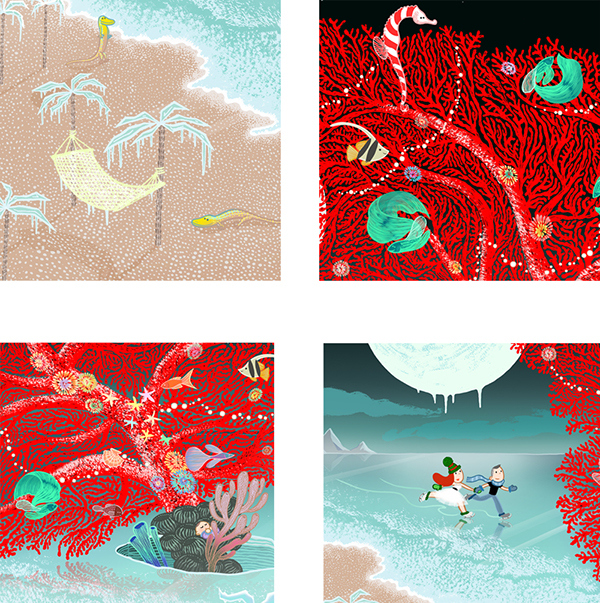 It shows a couple's romantic journey of finding their baby in the dreamlike nature. One cold night, everything on the beach is frozen even the moon! 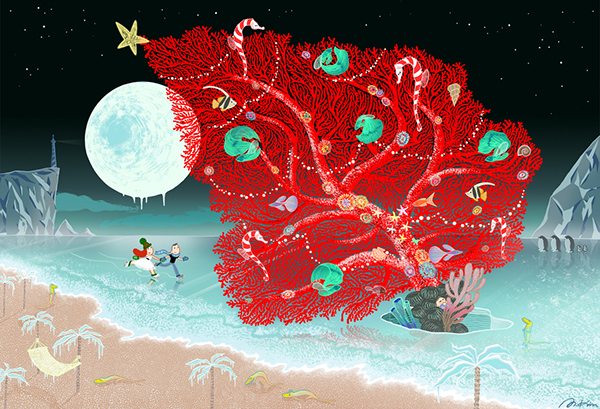 A giant red coral jutted out from the ice hole, little pearls twinkle on it and colorful tropical fishes float in the air. Wait, it looks like... a Christmas tree! The month of December's full moon name is Full Cold Moon (or Full Long Nights Moon) in the tradition of Native American naming.